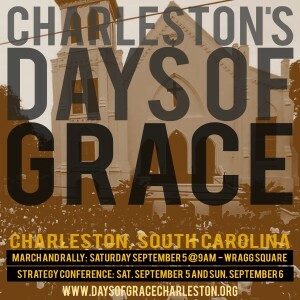 Organizing is accelerating for the “Days of Grace, Love’s Work Is Justice” events to be held in Charleston, S.C., over Labor Day weekend, Sept. 5 and 6. The event commemorates the nine Emanuel African Methodist Episcopal Church parishioners killed on June 17 by a white racist, as well as Walter Scott, killed by the police in North Charleston in early April. It will pay a special tribute to Rev. Clementa Pinckney, the state senator and church minister who was one of those gunned down by Dylan Roof, a white supremacist. Roof had been photographed with Confederate flags and wearing the insignia of the former racist apartheid and settler colonial regimes in Rhodesia (now Zimbabwe) and the Republic of South Africa. The Labor Day events are being coordinated by the International Longshoremen’s Association Local 1422, which has engaged in numerous labor actions over recent years. In addition to being a center in the struggle against racism, Charleston has been a focal point for a burgeoning workers’ movement led by African Americans. Since the days of slavery, the African population in South Carolina has had its labor exploited by the ruling class and has resisted injustice. African-American workers are seeking to link the escalation in police and vigilante violence against the community with the need to rejuvenate the movement for jobs and living wages. Following the Mother Emanuel massacre, thousands demonstrated, as part of a protracted struggle, to remove the Confederate flag from the State Capitol building in Columbia, demanding that this symbol of slavery and racism be taken down. Riley also noted, “Nearly 70 organizations have joined the call for a march and strategy conference … to help build a more fair, tolerant and peaceful South Carolina.” These endorsing and sponsoring groups include churches, student organizations, social clubs and civil rights activists. Thousands of people from the local area and from around the U.S. are expected to travel to Charleston over this Labor Day weekend for the gathering. Walter Scott was gunned down April 4, the 47th anniversary of the martyrdom of Martin Luther King Jr., by white police officer Michael Slager after a traffic stop in North Charleston. Angry over this racist killing, organizers rallied the community against law-enforcement violence directed against the people. Scott was stopped supposedly for a traffic violation and was shot repeatedly in the back by Slager. A Dominican worker walking through the area videotaped the killing on his cell phone, capturing a horrendous crime which is all too common on U.S. streets. Due to the video documentation of the killing and the mass demonstrations taking place throughout the country surrounding police misconduct, the officer was arrested and charged with murder. It remains to be seen if he will actually be convicted and, if so, receives a sentence commensurate with this crime. This Labor Day event comes amid an escalation in demonstrations and rebellions against racist violence and economic exploitation directed towards African Americans. The two largest rebellions over the last year have taken place in the southern states of Missouri — in Ferguson and St. Louis — and Maryland in Baltimore. Ruling class forces and law-enforcement agencies are reacting to the rising militancy and intolerance for racism among African-American youth and workers. Consequently, efforts are well underway to attempt to neutralize the growing struggle to end police violence against the people. Allegations have been made recently that the Black Lives Matter movement and other organizations have come under surveillance by the state. Such charges were made in Charleston after BLM was one of the first groups to protest against the killing of Scott and demand that his killer be arrested and prosecuted. Due to the current atmosphere prevailing in many cities throughout the U.S., law-enforcement agencies are clearly being coordinated on a national level to contain the protest. Unrest broke out recently in the city of St. Louis after the police killed an 18-year-old African American. A heavy police presence and its use of teargas and pepper spray triggered the stoning of police and the burning of an abandoned building and a vehicle. In nearby Ferguson the first anniversary of the death of Michael Brown ignited further demonstrations and civil unrest. 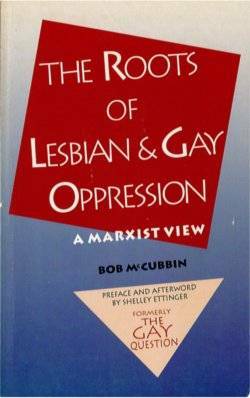 Until the federal government addresses the police brutality and killings directed against African Americans and other oppressed people, these demonstrations and rebellions will likely grow and become more militant and politically directed against the state and the corporate ruling interests.